A Native American folktale retold for beginner readers ready to tackle more complicated storylines and sentence Structures. 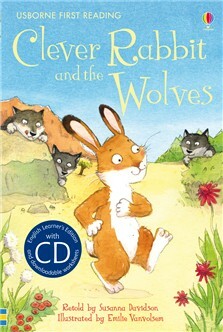 The Clever Rabbit is eating happily in the woods when he has to save a lost sheep from being eaten by a hungry wolf. But will the rabbit’s brains outmatch the wolf’s brawn? Part of the Usborne Reading Programme developed with reading experts at the University of Roehampton. Includes several pages of reading-related puzzles.